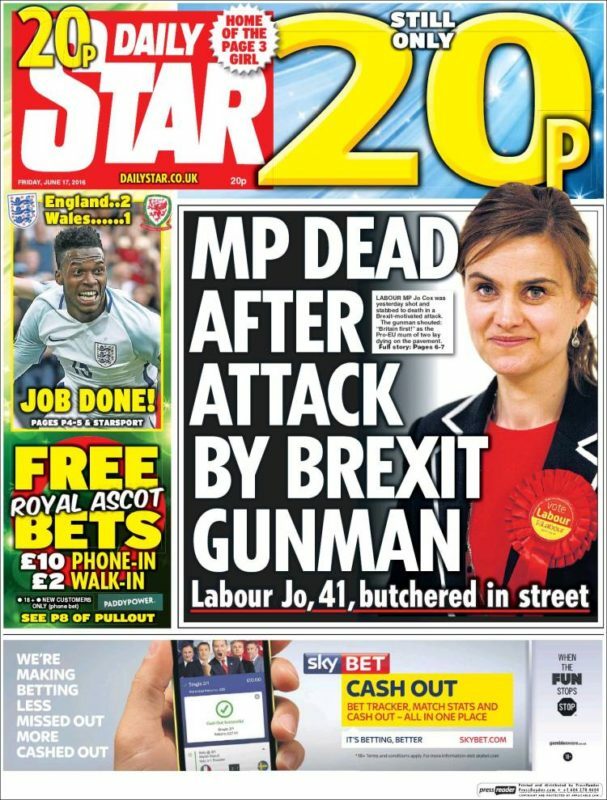 Daily Star reports on the death of Labour MP Jo Cox that claimed her killer had been motivated by Brexit were upheld as accurate by press regulator IPSO in the face of 303 complaints. The paper carried the headline “MP dead after attack by Brexit Nut” alongside a picture of the Batley and Spen MP on its front page with further reports on pages six and seven, published on 17 June. The story quoted a witness to the aftermath of the attack who claimed Cox’s alleged killer had shouted “Britain First” as well as a line from her husband who it said “pleaded with Britain to ‘unite to fight against the hatred that killed her’”. However, the Independent Press Standards Organisation received complaints that the story was inaccurate as there was no information to suggest the alleged attacker was a Brexit supporter. The newspaper said the article needed to be considered in the context of both when the incident occurred, which was a week before the EU referendum, and Cox’s position as a pro EU MP. It said that when the 41-year-old mother-of-two was attacked, a number of witnesses heard her alleged killer shout “Britain first”, which led to links being drawn between the attack and Vote Leave’s focus on immigration. In this context, the newspaper said it believed the attack was politically motivated and wanted to convey the alleged attacker’s ideology on the front page. IPSO’s Complaints Committee said it recognised the “Brexit nut” headline was the newspaper’s characterisation of the alleged attacker’s political views. “Such an assessment is a matter of opinion, which is something to which the Code grants considerable latitude,” said the committee. It acknowledged that it had been widely reported on the day of the attack that the alleged attacker had shouted “Britain first” at the time of the incident and this information was included in the front-page article, with the article inside the newspaper carrying a more extensive quote from a witness. The committee said it wished to make clear that it was not making an assessment on whether Ms Cox’s alleged attacker was in fact motivated by Brexit but “had to decide whether the newspaper had provided a sufficient basis to characterise him in this way”. It said “overall” the newspaper had provided a “sufficient basis for the characterisation of the alleged attacker as a Brexit supporter considering what was known about the incident, and the political backdrop, at the time of publication; this basis was made clear in the front-page article”. 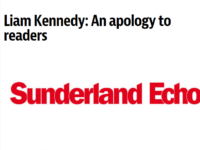 IPSO ruled there was no accuracy breach under Clause 1 of the Editor’s Code of Conduct. The headline was changed after the paper’s first edition.